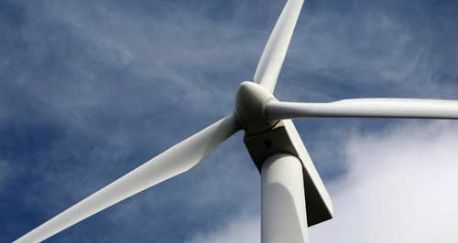 Rumoured cuts of 25 per cent in subsidies paid to wind power are off the mark, secretary of state Ed Davey told the cross-party Energy and Climate Change Select Committe today. He promised that revised subsidy levels in the Renewables Obligation - delayed several times and most recently due for publication today - would be published by 30 September. Davey was giving evidence to the committee on his department’s progress and priorities on the day that developers learned that new RO levels would not be published as expected today, and committee chairman Tim Yeo pressed him on the reason for the new delay. Yeo said the “only conceivable explanation was that the Treasury wanted bigger cuts than Decc”. Asking whether the Treasury had pressed for subsidy cuts for onshore wind, which he said was the loest cost option, he asked whether Davey had made it clear to his Treasury colleagues that “the direct consequence will be to raise prices for consumers”? Davey insisted that “no-one has argued for the big cuts we have seen in the newspapers” and said the delay was cased because “it’s a very complicated area and government has a busy agenda”,saying Decc had to talk through evidence with other departments. He added, “it is very important that government is seen to be acting on evidence not on political pressure”. Questioned on progress on the Green Deal, Davey hit back at complaints over the likely 7.5 per cent interest rate that consumers would pay. He said that it would make energy efficiency finance available to people who could not otherwise get credit, saying “many people who will be in the Green Deal could not get finance at 30 per cent”. He said the interest rate was just “just an element of the transaction costs” and providers outside the big-six energy companies would wrap finance into zero-rate packages.